How many men are really benefiting from genome-targeted prostate cancer treatment? 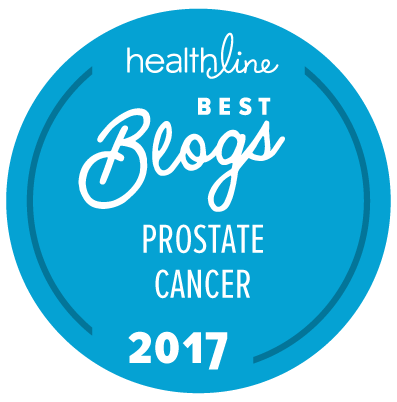 The answer to that question, at present, is that we don’t know — but it’s probably very few indeed compared to all the men who have progressive forms of prostate cancer. That does not mean that genome-targeted and genome-informed prostate cancer treatment is a bad idea. What it really means is that almost no drugs have yet been approved as genome-targeted or genome-informed treatments for prostate cancer. In fact, as far as your sitemaster is aware, the only such drug currently approved for the genome-informed or genome-targeted treatment of any form of prostate cancer is pembrolizumab or Keytruda — and that drug is only approved for the treatment of prostate cancer in the rare patients who have what are known as microsatellite instability-high (MSI‑H) or a mismatch repair deficient (dMMR) forms of the disease. For context, it is worth looking at some recent data in a paper by Marquart et al., just published in JAMA Oncology. In this paper, the authors have tried to make estimates of the annual percentages of all patients in the USA with advanced and metastatic forms of cancer who are (or may be) eligible for and who have or might have benefited from genome-targeted therapy over the past 12 years (i.e. from 2006 to early this year). 31 drugs with 38 FDA-approved indications met the study’s inclusion criteria. The average (median) overall response rate for all genome-informed drugs through January 2018 was 54 percent. The average (median) duration of response was 29.5 months. Although the number of patients eligible for genome-driven treatment has increased over time, these drugs have helped a minority of patients with advanced cancer. To accelerate progress in precision oncology, novel trial designs of genomic therapies should be developed, and broad portfolios of drug development, including immunotherapeutic and cytotoxic approaches, should be pursued. The bottom line is that it is still relatively “early days” in the development of targeted, “precision oncology” treatment. There is a lot more research that will need to be done before we can get close to the idea of actually selecting treatment with “the best” and most appropriate drugs for each prostate cancer patient based on his genetic/genomic profile and other related and relevant data. Assuming that at least one of the PARP inhibitors (e.g., olaparib/Lynparza and/or rucaparib/Rubraca) does get approved for the treatment of some advanced forms of prostate cancer in the next couple of years, this will significantly expand the numbers of men with prostate cancer who will potentially benefit from genome-targeted and genome-informed forms of therapy. However, other forms of genome-targeted and genome-informed treatments for prostate cancer will undoubtedly come to market over the next decade. Your insights are critically important and caused me to take a step back. Thank you for sharing this!